Back in 2011 the Syrian revolution began in the southern part of the country in a city call Daraa. This predominantly Sunni region ousted the Assad regime from their towns and cities inspiring uprisings all across the country as moderate and radical groups sought to overthrow the government. 7 years, 400,000 deaths, 5 million refugees and 6 million IDPs later, all roads lead back to Daraa. As of this week, the Syrian regime— with the assistance of Iran, Russia, and multitude of proxy militias and terror groups—commenced an already brutal military campaign to reclaim the cradle of the revolution and attempt to end the war in the place where it all began. 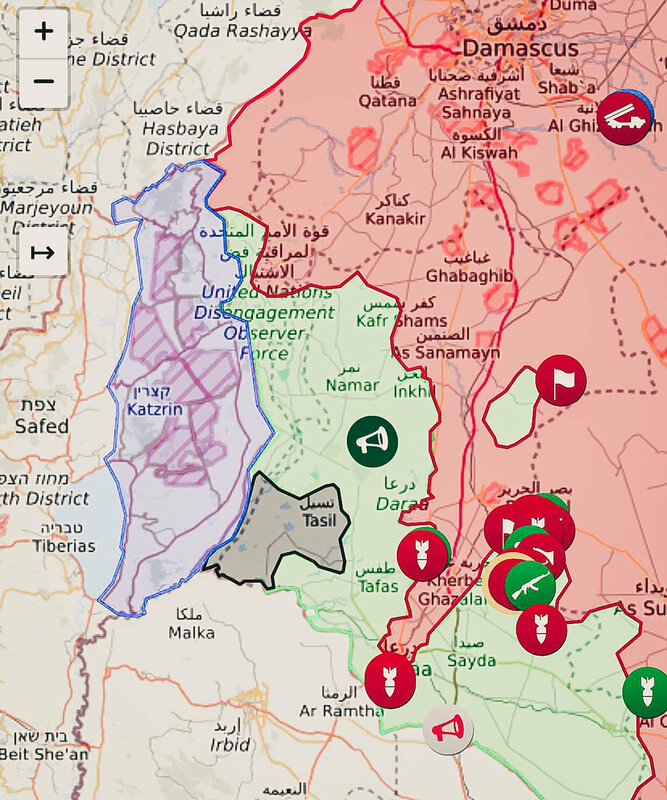 • During the month of June, Syrian federal forces (along with a host of proxy militias) finished the staging phase, and as of last week began advancing on strategic villages and towns. • On June 26, Russia announced the official end of the cease-fire agreement in southern Syria and officially entered the campaign along side of the Assad regime. This means they have taken off the mediator hat and put on the war hat. Russia is attempting to assert herself as the "strong man" of the Middle East and influence the fate of Syria for a number of strategic reasons. • Syrian Air Force has already killed the scores of civilians in what is already a brutal bombardment. With Russia now formally entering the fight, this will escalate considerably in the coming days. Surface-to-surface artillery has already wrought decimation. But as everyone knows, the true nightmare of the war is Syrian and Russian aircraft (with or without chemical weaponization). • Somewhere between 45,000 to 65,000 people have fled their homestoward the Israeli border in the Golan Heights to the west and the Jordanian to the south. We are approaching the hottest months of the year. These figures could escalate from tens of thousands to hundreds of thousands depending on what happens. Tens of hundreds of thousands massing at western and southern borders without food, water or medical care will set the context for a massive humanitarian crisis. • The Jordanian government announced that it will be sealing its borders and will not be receiving any more refugees. They have been flooded with refugees and cannot and will not receive any more. • The Israelis are facing a very complex geo-political landscape on their northern border. They have consistently said and shown that they will not tolerate the presence of Iran or Hezbollah in Syria— not just their northern border, but anywhere in Syria. The challenge here, is that Assad cannot win the war without them. So they will fight. And barring outside intervention, they will win. And Israel knows that victory for Assad means victory for Iran. And victory for Iran means the inevitability of the opening up of a volatile war front with Syria and Lebanon through a face off with battle hardened hordes committed to (yea, obsessed with) the ‘liberation’ of Jerusalem and Palestine (the true end-game for everyone involved in this debacle). For Israel, the great issue here is Iran and Hezbollah. As an organization, our FAI Relief teams are currently on the ground doing everything we can to provide support to civilians and families caught in the crossfire of this bloody quagmire. But we need help. If you would like to donate toward medical supplies and aid for IDPs, click the link below.